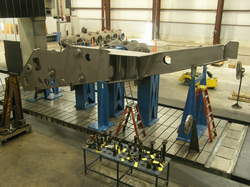 We Provide Heavy Machining & Fabrication Service to our clients. With the combination of a large fabrication department and a machining department all under the same roof, Intech Engineering delivers a complete supply solution. Looking for Heavy Machining & Fabrication Service ?